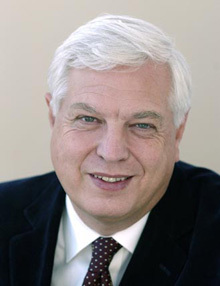 We have received heavyweight support from legendary journalist John Simpson in our campaign against funding cuts from Bradford MDC. The BBC World Affairs Editor opened the prestigious event in 2010 and signed copies of his critically acclaimed book, Unreliable Sources: How the Twentieth Century Was Reported, his fourteenth publication in a list of works which includes two novels. While on a private visit to the town last week Mr Simpson met with local MP Kris Hopkins, who took the opportunity to brief the journalist on the Council’s plans to withdraw support for the Ilkley Literature Festival. Mr Simpson – who famously entered Afghanistan in 2001 by disguising himself in a burqa – has since written to the Keighley and Ilkley MP to say how “sad” he was to hear of the funding threat now hanging over the event. “Since its creation in 1973, the Ilkley Literature Festival has grown into the oldest and largest event of its type in the North of England. “This is down in no small part to the unrivalled quality of literary figures and headlines names in attendance down the years, including John Simpson himself who has made two appearances. “The support funding provided by the Council returns financial and cultural rewards multiplied many times over to the district, through increased numbers of visitors and extra tourism spend. These benefits are in addition to the significantly increased profile the town enjoys throughout the duration of the event, and beyond. “I would urge local residents and, indeed, everyone who cares about the future of the Ilkley Literature Festival to make their views known by contributing to the Council’s budget consultation exercise which closes later this month. This can be done by logging onto the Bradford Council website. “We are incredibly grateful for all the support we have received in response to our campaign against the cuts. Hundreds people have expressed their support for the Festival, which is invaluable in helping to change the Council’s mind. If you have not yet contacted Bradford Council about the proposed budget cuts, please do so by clicking here. This entry was posted in News and tagged Arts Funding, Bradford, Festival Director, John Simpson, Kris Hopkins MP, Rachel Feldberg by ilfblogadmin. Bookmark the permalink. I am sure, Rachel, the Rt Hon Jack Straw waives his ‘usual’ fee when he appears at Ilkley. We’re in the wrong job, though, because £5,000 odd per day isn’t bad. Keep me in diesel, so to speak.